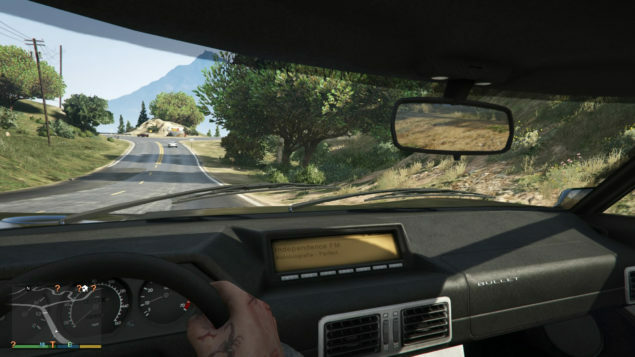 Besides confirming that the game is still slated to launch on its already announced release date, Rockstar has contributed very little in releasing new details and media content for PC version of GTA V. However, there is an unknown source which, after leaking the first alleged in-game screenshots of the upcoming game on the web a couple of days ago, has now provided some more technical details about the game along with a couple of screenshots that show how the game looks like running on PC on low and high settings. While PC gamers eagerly await the arrival of Rockstar’s best-selling all-time hit action-adventure open world video game, NfoHump user called “Neon” is busy at fueling the hype train. 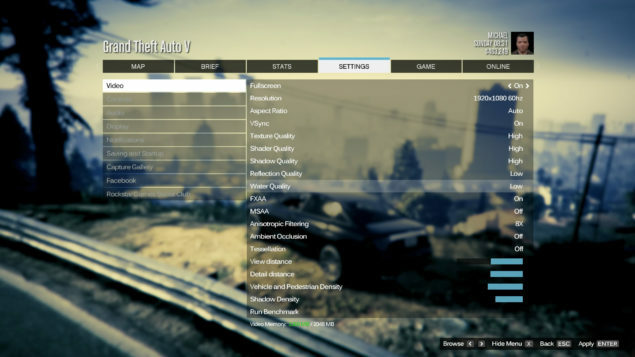 Claiming to have ties with an unknown man who reportedly works in a PC game magazine firm and has recently gotten his hands on the PC version of GTA V for review purpose, Neon posted a few alleged GTA V in-game PC screenshots on the forums a few days ago, showing off the settings menu and visuals quality of the upcoming game, and now, the user has come up with a low vs high screenshot comparison as well as more technical details. In the latest details, Neon mentioned that the source behind the leaked screenshots has confirmed to be using a MSI GTX 770 coupled with a Core i5 3570k and 8GB RAM. The previously mentioned GTX 970 was a misunderstanding and thus it didn’t match the 2GB memory count that was pictured in the leaked settings screenshots. According to the source, the GTX 770 failed to run the game at max settings (even without MSAA enabled) with constant 60 frames per second. Providing another screenshot of GTA V’s graphics settings menu, the user stated that the source’s PC was able to run the game at constant 60fps with the following settings. 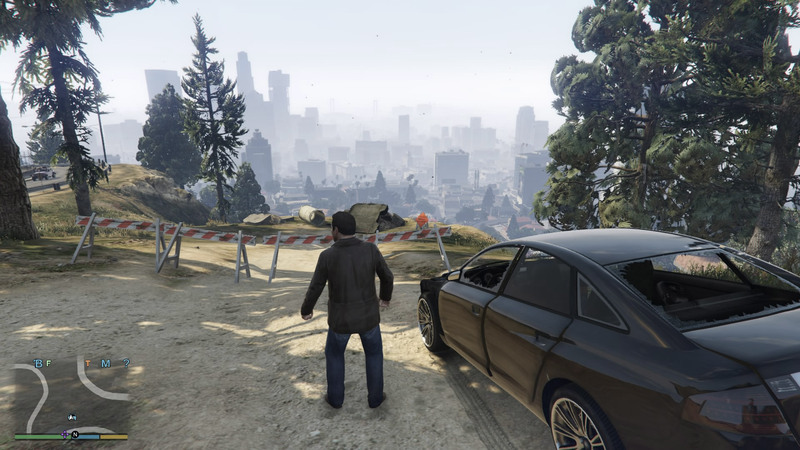 In addition, to satisfy other users with the legitimacy of all the details and screenshots he has shared previously, Neon shared two similar screenshots comparing the PC version of GTA V running on low and high settings. Since he already mentioned that the source’s PC specifications seem to be not enough for maxing out the game, both low vs high screenshots were taken without MSAA/tessellation enabled. There are some notable differences between the provided in-game comparison screenshots. Texture quality seems to remain same, while there are enhancements in lighting, shadows, reflections and draw distance. You can check out the comparison screenshots below. Note that the one with low settings is one the top and the other one with high settings is below it. 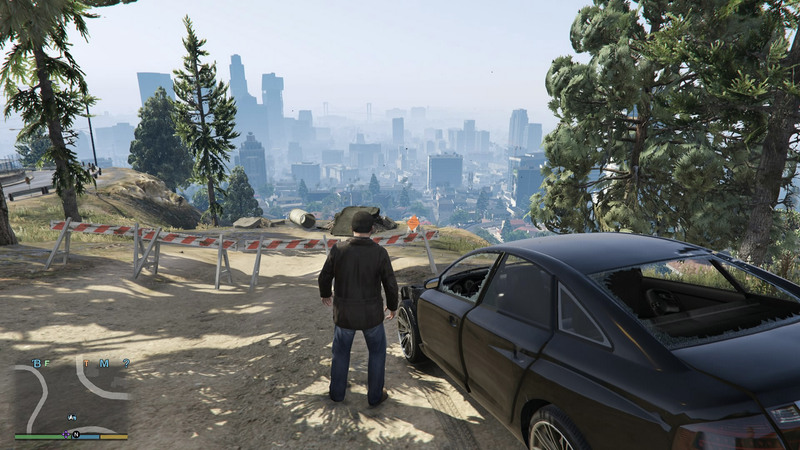 Neon has shared a bunch of GTA V in-game PC screenshots, which he claims to have acquired from an unnamed person. The previously released screenshots were stamped as fake by a number of fans, mainly due to the fact that GTX 970, which he claimed at the time was powering the game, is 4GB and the graphics settings screenshot pictured 2GB memory only. However, this latest screenshot comparison looks pretty legit, yet still, it should all be taken with a grain of salt, as we still don’t have some solid proof or official word on the topic.